In the history of art only a select number of artists distinguish themselves as originators of a personal idiom that reverberates beyond place and time. 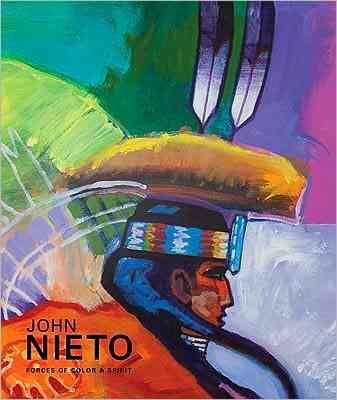 John Nieto is one of those originals. His eye-dazzling paintings rank him among the vanguard of contemporary American colorists. Recognized worldwide for his signature blend of expressive colors, dynamic brushwork, and powerful compositions, Nieto is an American artist who speaks in a universal language. His personal story, told here for the first time, is a journey of discovery. His paintings combine reverence for his heritage with a sophisticated worldview. They are also autobiographical. Nieto depicts Native peoples as icons of dignity and unity. His buffalo, bears, and coyotes are symbols of survival. Each is captured in pulsating saturated hues that affirm the vibrant spirituality inherent in all living things. Susan Hallsten McGarry is an independent curator and writer living in Santa Fe, New Mexico. She earned her master's degree in art history from the University of Minnesota and served as editor-in-chief of Southwest Art magazine from 1979 to 1997. McGarry has authored more than fifteen books and catalogs on American artists and contributed to many more.